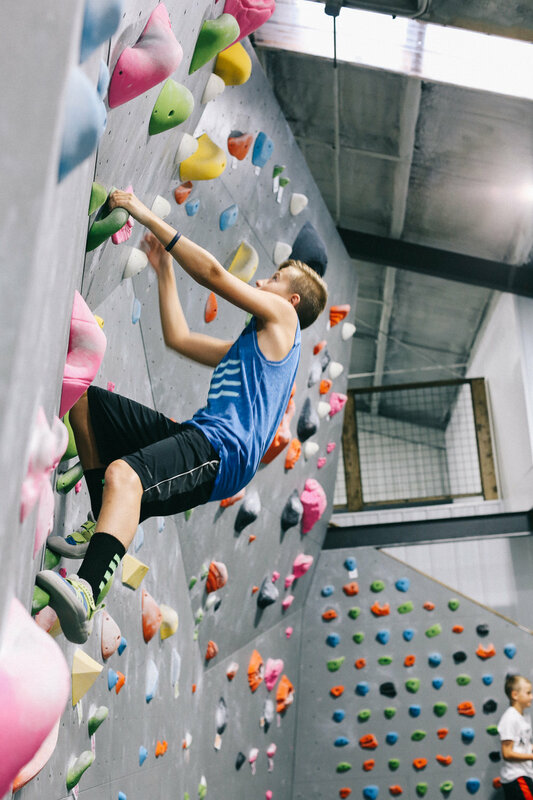 Youth Rec Teams | Terra Firma | Climbing in Grand Rapids, MI | Rock Climbing — Terra Firma Bouldering Co.
Our Youth Rec Teams meet once a week and are ongoing. 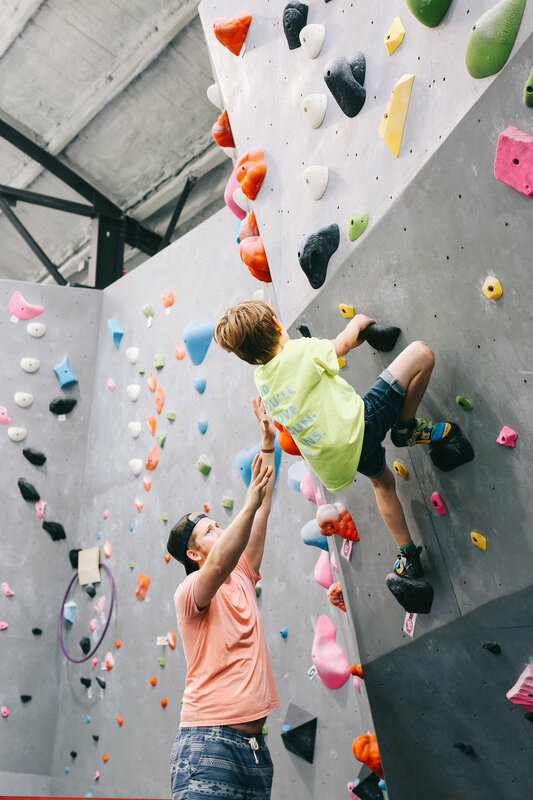 The recreational teams are designed to introduce kids to the fun of rock climbing along with its many challenges. Through skill based games and climbing, our kids grow physically and mentally. They learn and take away the artistry that not only empowers them in climbing, but also in the outside world where real risks lie. This is where it all starts, developing lifelong foundations that will carry kids forward into their climbing future. These climbers get to share in all the fun and learn the fundamentals for competitive climbing. Friendships are made and confidence is grown! 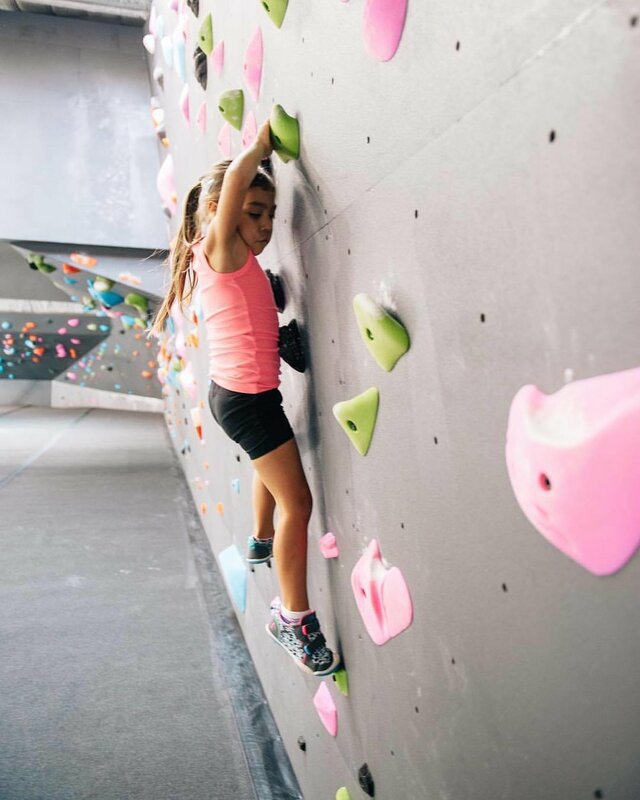 Whether it's building on the foundations or being introduced to climbing for the first time, our kids become aware of the rush, the thrill, and the demand climbing presents. These climbers grow as a team and as individuals learning the basics of teamwork and developing their problem solving abilities all while having a blast doing it. Challenges are conquered and fears are faced. Staying on the wall is the key to success. Taking the risk and reaching for that next hold is what it's all about. Climbers develop perseverance, learn to dig deep, and grow to believe in themselves. Give everything you've got to crush challenges and reach goals. This team builds skill-sets for recreational and competitive climbing. Our oldest age range for recreational climbing will build character and determination to pursue anything life throws at you! Please contact our youth coordinator matt@climbterrafirma.com or call us at 616. 279. 3169 for any questions!